The Davis-UWC Dare to Dream Programme was launched in early 2018 through a pledge by UWC patron Shelby Davis of over 100 million USD towards the UWC movement’s scholarship fund. From 2018 onwards, the donation will provide funding for 100 additional scholarships per year for students selected through UWC’s 159 national committees to attend one of the 17 UWC schools and colleges worldwide for their final two years of secondary education. The “Dare to Dream” programme celebrates an important wish voiced by the US philanthropist known for his engagement in the field of international education when making this gift: The 100 scholarships shall be granted to students from backgrounds in which they would usually not even dare to dream of a world-class education like that offered by UWC. Shelby Davis' donation recognises UWC’s commitment to further strengthen the diversity of its student body as set out in the “UWC Strategy: 2018 and Beyond”. This goal will be achieved by ensuring that access to a UWC education can be granted independent of each student’s socio-economic means. Achieving this strategic goal will be achievable by further strengthening of UWC’s fundraising capabilities including the fundraising capability of its national committees. With his Dare to Dream pledge, Shelby Davis has challenged the UWC movemen t to reach this strategic financial aim as quickly and efficiently as possible. 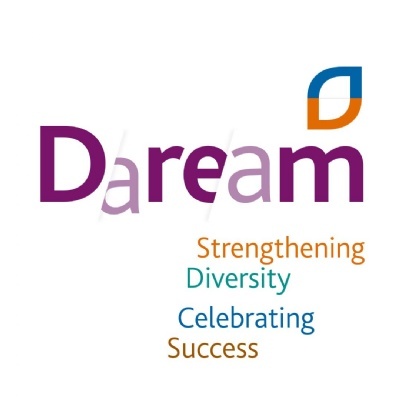 The Dare to Dream programme is designed to recognise and celebrate UWC national committees already successfully fundraising, and to encourage other national committees to develop and enhance their fundraising activities. In return for increasing their fundraising capabilities and improving their selection processes beginning in 2018, 100 national committees each year will be enabled, through the programme’s incentives, to increase their outreach to potential students who require full financial assistance. The 100 scholarships financed annually through Dare to Dream funding will be allocated equitably across all 17 UWC schools and colleges keeping in mind the strategic goal of fostering deliberate socio-economic diversity on all UWC campuses. With this new pledge, Shelby Davis recognises the unique role of UWC’s national committees, celebrates their work and successes and challenges them to further enrich their outreach and selection processes. In doing so, the programme will give 100 young people per year the chance to dare to dream - and to start their journey in becoming changemakers for a better future. "UWC provides a unique education to students from across the world independent of their socio-economic means. Each year, UWC national committees identify promising young people in almost 160 countries to attend UWC schools and give them access to an international education they would otherwise never even dare to dream of. We need to equip a new generation to work towards a better world. The Dare to Dream scholarships recognise UWC's capacity to do that and to bring together students from the most diverse backgrounds from around the globe. I hope it will encourage others to support UWC in eliminating a privileged socio-economic background as a prerequisite for world-class education."